Fallout Shelter launched on iOS devices at the start of E3 and lowered productivity for everyone on an Apple device. It’s been on iPad for so long, that plenty of people have played it to the point of losing interest. Meanwhile, the Android masses were feeling left out in the nuclear wasteland. No longer! Android users of all kinds can get in on Fallout Shelter soon. 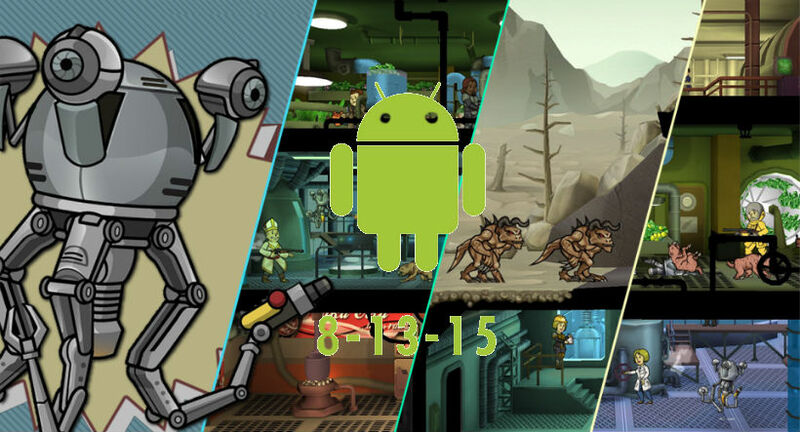 Todd Howard has revealed that Fallout Shelter will be coming to Android devices on 13 August. But the version coming to Android will be an improved and expanded game – the update will also be coming to iOS, giving players a reason to open up their vaults again. Whether you’re playing on Android or on iOS, Fallout Shelter will feature new game updates, including Mr. Handy as an all new premium reward. Have him collect resources inside your Vault, send him into the wasteland to collect loot, and defend your Vault from creatures and disasters, including all new Deathclaw invasions and Molerat infestations. I know some people have already reached maximum capacity in their vaults, playing the game to “completion” as much as possible. Still, it’s obviously a fun title and has already made Bethesda a ton of money without making us all cry about micro transactions. With the inclusion of Android gamers, even more people can get in on the joys of hilarious pick up lines when residents flirt, as well as the evil excitement of sending a dweller into the wastelands to look for resources. Global lack of productivity coming 13 August. Previous article Rumour: Is this our first look at the costume for Marvel's SPIDER-MAN?